Email is one of those digital things that we use constantly, yet constantly perplexes us, as well. How did these spam emails from strange senders get to you? How are you supposed to sift through thousands of emails? Throttle is here to help. This browser extension gives you complete control over who gets access to your email by automatically generating a unique email every time you're required to fill out a form. 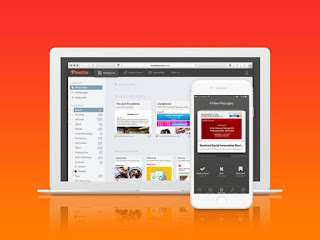 Seeing as you have to give out your email seemingly everywhere these days, Throttle lets you simply click a button and you can forget about all those annoying subscriber emails and invasive data mines.